Matthew A. Holten CCSP, D.C.
Brian Studer, D.C., is a chiropractor located in Dayton, OH. Take the next step and contact Dr. Brian Studer, D.C., for a consultation in Dayton, OH or to get more information. Thomas E Eiselt, D.C., is a chiropractor located in Dayton, OH. Techniques: • Pettibon • Logan Basic • Nimmo • Gonstead Take the next step and contact Dr. Thomas E Eiselt, D.C., for a consultation in Dayton, OH or to get more information. Robert G Goodwin, D.C., is a chiropractor located in Dayton, OH. Take the next step and contact Dr. Robert G Goodwin, D.C., for a consultation in Dayton, OH or to get more information. Poelking Chiropractic Wellness & Physical Therapy Inc.
Theodore J Poelking, D.C., is a chiropractor located in Dayton, OH. Techniques: • Gonstead • Cox • Diversified • Thompson • Flexion-Distraction • Palmer Package Take the next step and contact Dr. Theodore J Poelking, D.C., for a consultation in Dayton, OH or to get more information. Chas D Lee, D.C., is a chiropractor located in Dayton, OH. Techniques: • Diversified • Flexion-Distraction • Gonstead • Activator Methods Take the next step and contact Dr. Chas D Lee, D.C., for a consultation in Dayton, OH or to get more information. Mark T Williams, D.C., is a chiropractor located in Dayton, OH. Techniques: • Diversified • Gonstead Take the next step and contact Dr. Mark T Williams, D.C., for a consultation in Dayton, OH or to get more information. David Heuser, D.C., is a chiropractor located in Dayton, OH. Techniques: • Diversified • Sacro Occipital Technique Take the next step and contact Dr. David Heuser, D.C., for a consultation in Dayton, OH or to get more information. Daniel J DeBord, D.C., is a chiropractor located in Dayton, OH. Techniques: • Diversified • Thompson Take the next step and contact Dr. Daniel J DeBord, D.C., for a consultation in Dayton, OH or to get more information. Ronald D Moore, D.C., is a chiropractor located in Dayton, OH. Take the next step and contact Dr. Ronald D Moore, D.C., for a consultation in Dayton, OH or to get more information. James N Zimmer, D.C., is a chiropractor located in Dayton, OH. Take the next step and contact Dr. James N Zimmer, D.C., for a consultation in Dayton, OH or to get more information. Robert E Schumacher, D.C., is a chiropractor located in Dayton, OH. Techniques: • Activator Methods • Gonstead • Upper Cervical • Manual Adjusting Take the next step and contact Dr. Robert E Schumacher, D.C., for a consultation in Dayton, OH or to get more information. Anthony C Schumacher, D.C., is a chiropractor located in Dayton, OH. Take the next step and contact Dr. Anthony C Schumacher, D.C., for a consultation in Dayton, OH or to get more information. W Richard Teeters, D.C., is a chiropractor located in Dayton, OH. Take the next step and contact Dr. W Richard Teeters, D.C., for a consultation in Dayton, OH or to get more information. Ann L Steinberg, D.C., is a chiropractor located in Dayton, NV. Techniques: • Activator Methods • Palmer Package • Thompson • Sacro Occipital Technique Take the next step and contact Dr. Ann L Steinberg, D.C., for a consultation in Dayton, NV or to get more information. Patrick Prikkel, D.C., is a chiropractor located in Dayton, OH. Techniques: • Active Release Technique • Cox • Diversified • Flexion-Distraction Take the next step and contact Dr. Patrick Prikkel, D.C., for a consultation in Dayton, OH or to get more information. Brian Fillmore, D.C., is a chiropractor located in Dayton, OH. Take the next step and contact Dr. Brian Fillmore, D.C., for a consultation in Dayton, OH or to get more information. B Scott Pedicord, D.C., is a chiropractor located in Dayton, OH. Techniques: • Diversified • Cox Take the next step and contact Dr. B Scott Pedicord, D.C., for a consultation in Dayton, OH or to get more information. Donald E Warner, D.C., is a chiropractor located in Dayton, OH. Techniques: • Diversified Take the next step and contact Dr. Donald E Warner, D.C., for a consultation in Dayton, OH or to get more information. Timothy J Henry, D.C., is a chiropractor located in Dayton, TN. Techniques: • Gonstead • Cox • Sacro Occipital Technique • Pettibon • Diversified Take the next step and contact Dr. Timothy J Henry, D.C., for a consultation in Dayton, TN or to get more information. Kent C Long, D.C., is a chiropractor located in Dayton, OH. Techniques: • Diversified • Flexion-Distraction Take the next step and contact Dr. Kent C Long, D.C., for a consultation in Dayton, OH or to get more information. Michael DeBord, D.C., is a chiropractor located in Dayton, OH. Techniques: • Gonstead Take the next step and contact Dr. Michael DeBord, D.C., for a consultation in Dayton, OH or to get more information. Thomas M Hallisey, D.C., is a chiropractor located in Dayton, TX. Take the next step and contact Dr. Thomas M Hallisey, D.C., for a consultation in Dayton, TX or to get more information. Joanne M Eash, D.C., is a chiropractor located in Daytona Beach, FL. Techniques: • Manual Adjusting • Diversified • Gonstead • Traction • Total Body Modification Take the next step and contact Dr. Joanne M Eash, D.C., for a consultation in Daytona Beach, FL or to get more information. Douglas Schumacher, D.C., is a chiropractor located in Dayton, OH. Techniques: • Gonstead Take the next step and contact Dr. Douglas Schumacher, D.C., for a consultation in Dayton, OH or to get more information. Steven L Hockett, D.C., is a chiropractor located in Dayton, OH. Take the next step and contact Dr. Steven L Hockett, D.C., for a consultation in Dayton, OH or to get more information. Christine L Dobran, D.C., is a chiropractor located in Dayton, OH. Techniques: • Manual Adjusting • Diversified • Activator Methods • Flexion-Distraction • Logan Basic • Applied Kinesiology Take the next step and contact Dr. Christine L Dobran, D.C., for a consultation in Dayton, OH or to get more information. Blaine O Neal, D.C., is a chiropractor located in Daytona Beach, FL. Take the next step and contact Dr. Blaine O Neal, D.C., for a consultation in Daytona Beach, FL or to get more information. 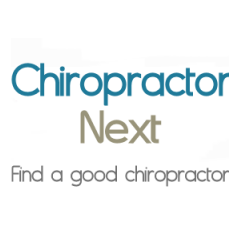 Sherri R Baltz, D.C., is a chiropractor located in Dayton, OH. Techniques: • Gonstead • Thompson • Diversified Take the next step and contact Dr. Sherri R Baltz, D.C., for a consultation in Dayton, OH or to get more information. Richard Loechinger II, D.C., is a chiropractor located in Dayton, OH. Techniques: • Palmer Package • Cox Take the next step and contact Dr. Richard Loechinger II, D.C., for a consultation in Dayton, OH or to get more information. Wolfgang R Munster, D.C., is a chiropractor located in Daytona Beach, FL. Techniques: • Gonstead • Sacro Occipital Technique • Pierce • Cox Take the next step and contact Dr. Wolfgang R Munster, D.C., for a consultation in Daytona Beach, FL or to get more information. Bobbie Jo Bennett, D.C., is a chiropractor located in Dayton, TX. Take the next step and contact Dr. Bobbie Jo Bennett, D.C., for a consultation in Dayton, TX or to get more information. Richard W Teeters, D.C., is a chiropractor located in Dayton, OH. Techniques: • Gonstead Take the next step and contact Dr. Richard W Teeters, D.C., for a consultation in Dayton, OH or to get more information. David Mallory, D.C., is a chiropractor located in Daytona Beach, FL. Techniques: • Diversified • Cox • Activator Methods • Chiropractic Biophysics Take the next step and contact Dr. David Mallory, D.C., for a consultation in Daytona Beach, FL or to get more information. David E Polen, D.C., is a chiropractor located in Dayton, OH. Take the next step and contact Dr. David E Polen, D.C., for a consultation in Dayton, OH or to get more information. Harry S Alexander, D.C., is a chiropractor located in Dayton, OH. Techniques: • Gonstead • Grostic Take the next step and contact Dr. Harry S Alexander, D.C., for a consultation in Dayton, OH or to get more information. Van D Merkle, D.C., is a chiropractor located in Dayton, OH. Techniques: • Thompson • Diversified Take the next step and contact Dr. Van D Merkle, D.C., for a consultation in Dayton, OH or to get more information. Sherri R Blatz, D.C., is a chiropractor located in Dayton, OH. Take the next step and contact Dr. Sherri R Blatz, D.C., for a consultation in Dayton, OH or to get more information. Carol Loechinger, D.C., is a chiropractor located in Dayton, OH. Techniques: • Palmer Package • Flexion-Distraction • Thompson • Cox • Naturopathic Physician • Colon Hydrotherapy Take the next step and contact Dr. Carol Loechinger, D.C., for a consultation in Dayton, OH or to get more information. Timothy Kuehl, D.C., is a chiropractor located in Dayton, OH. Take the next step and contact Dr. Timothy Kuehl, D.C., for a consultation in Dayton, OH or to get more information. KAREN E. RILEY, D.C., is a chiropractor located in Daytona Beach, FL. Take the next step and contact Dr. KAREN E. RILEY, D.C., for a consultation in Daytona Beach, FL or to get more information. Merle S Auck, D.C., is a chiropractor located in Dayton, OH. Take the next step and contact Dr. Merle S Auck, D.C., for a consultation in Dayton, OH or to get more information. Rex Randolph, D.C., is a chiropractor located in Dayton, OH. Take the next step and contact Dr. Rex Randolph, D.C., for a consultation in Dayton, OH or to get more information.